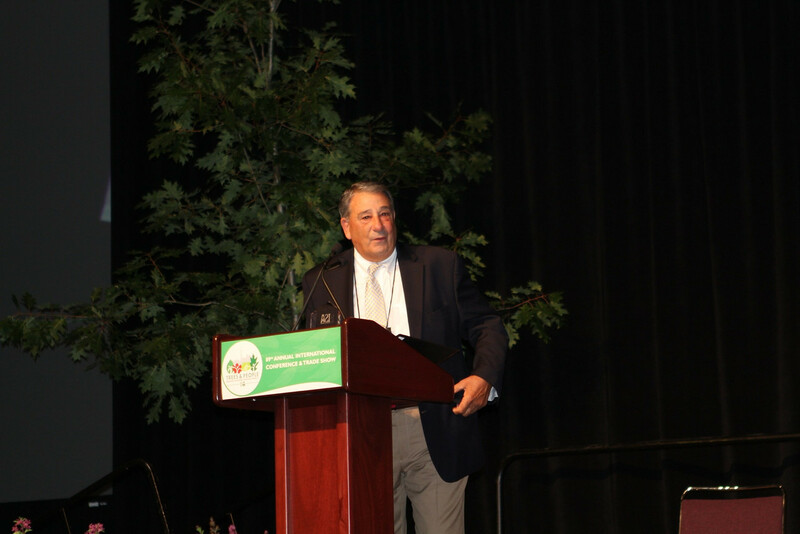 CHAMPAIGN, Ill. (August 2013) – Greg Daniels, vice chairman and Chief Business Development Officer for Bartlett Tree Experts in Stamford, Conn., is this year’s recipient of the International Society of Arboriculture’s (ISA) Award of Merit. The Award of Merit acknowledges Daniel’s service in advancing the principles, ideas, and practices of arboriculture. ISA President Terrence Flanagan presented the award on Sunday, August 4th in Toronto, as part of the ISA Annual Conference and Trade Show, August 3rd—7th, 2013. Daniels worked for his father-in-law’s tree care company for several years to establish his career path before joining Bartlett Tree Experts in 1975. From his first job as a local manager to the office of president & COO of Bartlett, Daniels’ nearly forty year commitment has focused on research, education, and continuous learning.